A journalist for the Los Angles Times has reportedly been banned from covering phone calls and events for The Bachelorette by ABC, prompting her editor to pull coverage of the show until she's allowed to properly report on it again. Kaufman added that anyone upset about her lack of coverage should contact ABC's publicity department and Robert Mills, a Bachelor executive producer. I've emailed ABC to ask them about the decision and will update when I receive a comment back. As for Robert Mills, he might not like Kaufman's coverage, but he has been touting the work of Emily L. Foley, a freelance writer who (like Andi Dorfman) lives in Atlanta. Foley was apparently at the taping of Andi's first night on the show and posted a photo of herself with Harrison and Mills during the taping. She also seems to have a chummy Twitter relationship with a few Bachelor stars, including Andi. From the beginning, I didn't have a good feeling about JuanPabs. Though ABC touted his status as a fan favorite during his turn on "The Bachelorette" last year, I never really felt that "Bachelor" nation was super into him. Basically, we all thought he was hot. We never said we wanted him to be The Bachelor. I can only hope ABC takes a serious lesson away from this disaster of a season. 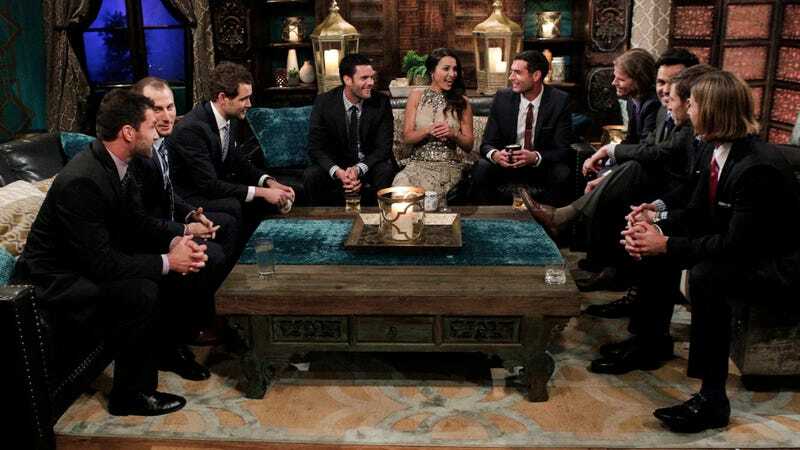 I'm encouraged that Andi has been selected as the next "Bachelorette" — she has a real job, seems genuinely interested in finding love and isn't afraid to speak her mind. Her dad is also amazing. Kaufman's finale recap wasn't the only time she was critical of ABC; at other points during last season, she wrote that she hoped the network had "learned its lesson" about casting a dude just because he's hot and has an accent as the Bachelor and wondered whether there has "ever been a season where not only America, but basically the entire cast, turned on The Bachelor?" Being cockblocked by ABC hasn't stopped Kaufman; she's still live tweeting the show with aplomb, joining an important community of media Bachelor watchers whom ABC and Bachelor producers likely hate. Though the show's ratings are still great (perhaps because of the bad press), as it continues, ABC and Bachelor producers are finding it difficult to command control of the behemoth that is this franchise. Bukowski now tells us ... the whole thing was a set up. He wanted to be on the show but he applied too late ... and the producers concocted the idea of showing up unannounced. Chris says they even suggested a romantic touch — a bouquet of roses. So a message to members of the press from The Bachelor "family": you're cool, but only when you're doing it the Bachelor-approved way.